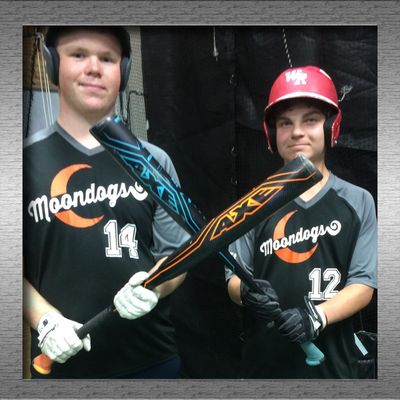 Teams bat simultaneously as the HitTrax system syncronizes each inning. stay tuned for fall season announcements! Improve skills using your own data. 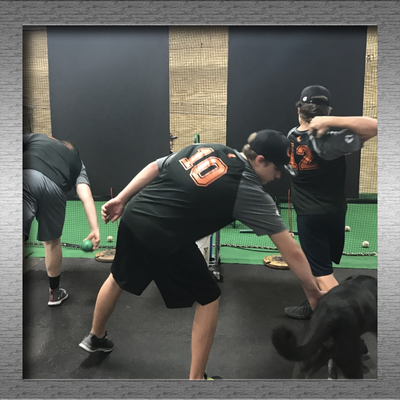 Top notch technology, equipment and methods to learn proper fundamental movements and mechanics, and fine tune your skills utilizing data driven methods. Everything you do will be tracked, areas of weakness identified, and individual progress can be measured.​ There's no guessing. Develop the athlete in you. Learn and practice good habits! Athletic training is more than just "speed & agility"! With personalized, guided training with our SBA protocols, you'll become stronger, possess more power and control, and realize the value of whole body mobility. You'll play indoor baseball games in many of dozens of accurately scaled MLB stadiums using HitTrax systems. (learn more) Play will be normalized for player age/ability. "we couldn't thank you enough for his improvement and the work ethic that you seem to instill in these young men - pure magic!" "He's gone from fairly average to one of the best players on his team in the last 8 weeks..."
"I really appreciate that you are not only helping with baseball, but you’re helping him to become a better man as well. " "I sure wish Dr. Dan was around when I was younger." ​Drop off 5 to 10 minutes prior to the scheduled start time of all games and training. PARENTS/SPECTATORS ARE NOT PERMITTED TO STAY . The system consists of separate hardware and software components. including three near-infrared cameras and two near-infrared LED arrays that better illuminate the ball. Multiple cameras track the ball as it crosses the camera volume. The location of the ball in each camera’s field of vision, combined with the known distances between each camera, are combined to measure the position of the ball in three dimensions. The tracking data is fed into a physics engine to project the distance each hit would travel in the real world. In addition to distance and trajectory, it also estimates whether each batted ball would result in a hit or an out. The fielders’ ability has been programmed to match the hitter’s. The speeds reported by the HitTrax system are accurate to within one mile per hour, as compared with conventional radar guns. The distances reported are accurate to within five percent. The HitTrax software is controlled by a touchscreen, where the user can enter personal information, change settings, or switch between training and game mode. In training mode, the system can produce detailed spray charts, strike zone “hot and cold” zones, and trajectory data such as launch angle and exit velocity. Reports and leaderboards are available online so players can track their performance and get a sense of how a change to their swing mechanics might translate to in-game performance. HitTrax system is also capable of tracking pitches. 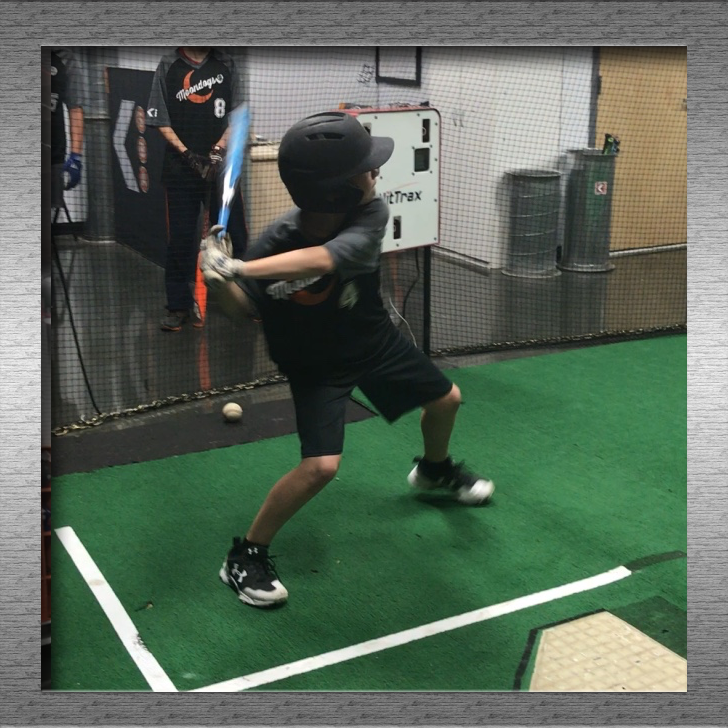 The system tracks the horizontal and vertical break of the ball, the “end speed” as the pitch crosses the plate, and where in the strike zone the pitch was located. ​To-scale MLB Stadiums-adjusted for level/age. Real-time statistics and key performance metrics! Check stats, standings and scores instantly. Advanced state of the art technology accurately captures and measures the speed and trajectory of the ball while calculating the realistic outcome. The indoor baseball games are played similarly to real baseball. You perform the hitting portion of the game with the same rules as the outdoor game. As soon as the ball is hit the simulator takes over. It calls balls and strikes, performs the base running and defense, displays your exit ball velocity, hit distance, and more.